Candidates should have completed 20 Years as on 1stJuly 2019 and should not be more than 28 years in age. 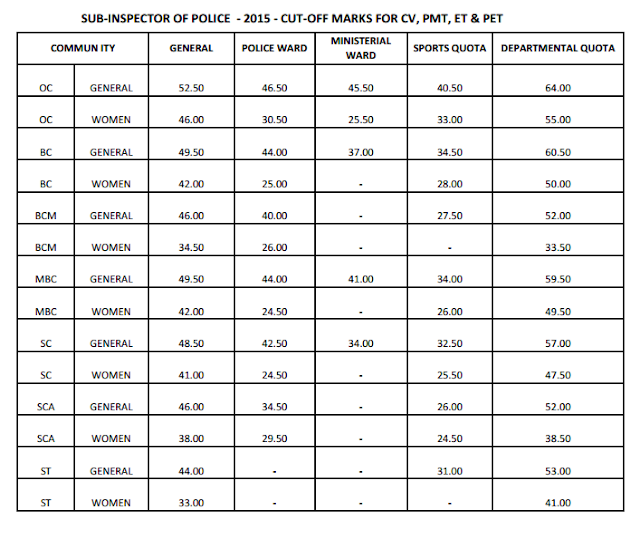 Candidates who are serving police personnel and meet eligibility criteria as per TNPSS (Rule 14) and TNSPSS rule are eligible for Departmental quota. Sportsperson who have represented national, state or inter-university in specified 15 games/ sports are eligible for Sports Quota. Written exam for departmental quota is conducted separately. Departmental quota candidates can apply for both departmental and open examination. Communal reservation is given within each quota as per the existing rules. 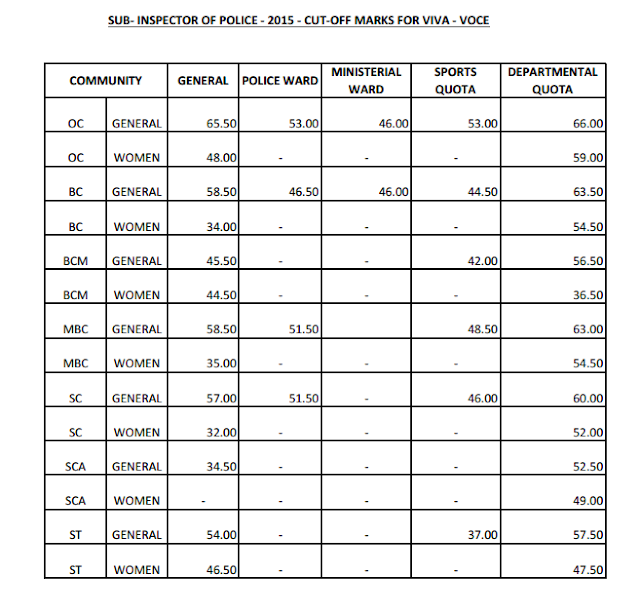 In case there is no availability of candidates for any of the quota (i.e. departmental and sports), seats will be transferred to general quota. These seats will be filled as per communal reservation. Examination Fee of 500/-has to be paid to appear for the Recruitment. Candidates who wish to apply under TN Police, General Category & Sports reservation quota are to pay 1000/-as Examination Fee. Examination Fee can be paid Offline (SBI Challan) as well as Online. Note : (170 questions each carrying half mark). Duration of written exam – 3 hours. Endurance Test comprises of following events. Only the candidates who qualify in the Endurance Test will be allowed to appear in the Physical Efficiency Test. Candidates must possess a degree from a recognized University are eligible to apply for this Tamil Nadu Police SI Recruitment. Scientific Instruments, Inventions, and Discoveries.